Cameron Brannagan got five starts last season and came off the bench a further four, but he’s fallen down the pecking order this term with the likes of Ovie Ejaria, Gini Wijnaldum and Marko Grujic ahead of him. The youngster has not featured once in 2016/17 and is heading to League One side Bolton Wanderers for a loan stint as a result, the Echo has confirmed. At 20-years-old, the midfielder needs regular minutes to progress and Bolton can provide him that, aware of Liverpool’s 75% playing-time clause which is inserted into loan deals out of the club. Brannagan is technically excellent, but has been playing youth team football for too long and we’d hate him to stagnate and ‘miss the boat’. We’re not sure if he’ll make the grade at Liverpool; competition for places is enormous; but he’s more than capable of playing Premier League football for somebody else. Hopefully, he’ll show what he can do under Phil Parkinson and give Jurgen Klopp a real decision to make next summer. 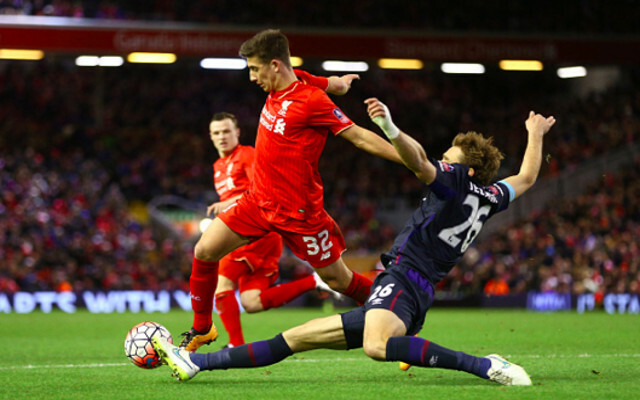 If we’re involved in Europe next term, there may well be a spot for Brannagan in the 2017/18 squad.